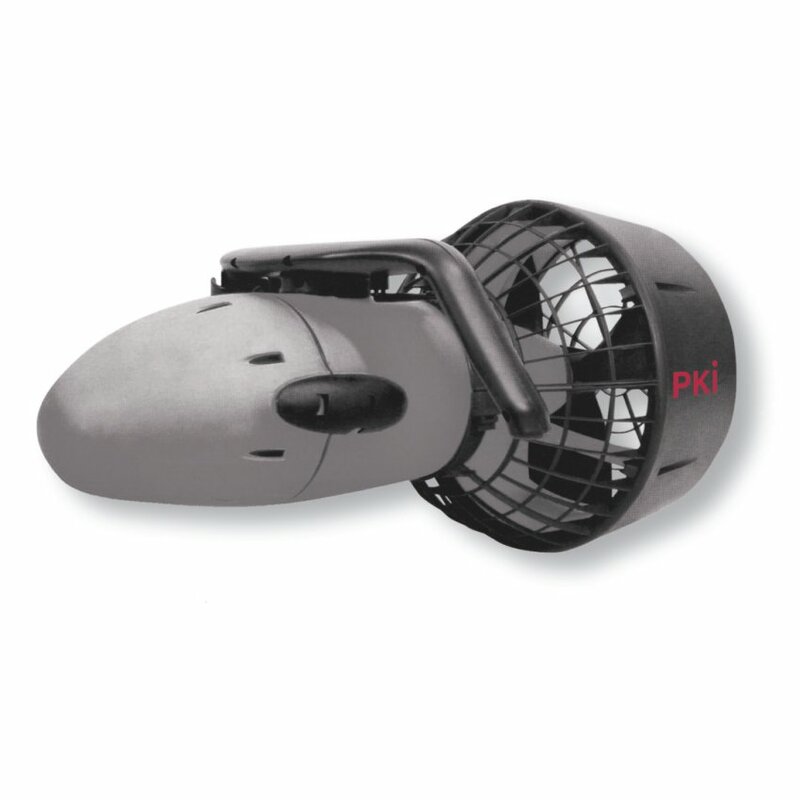 Years of engineering and design have resulted in the PKI 5910 Personal Underwater Propeller that provides power of 3 km/h for up to 40 minutes of use with a standard battery. At the same time it is compact and light-weight. The ergonomic handle with integrated trigger and master switch facilitate the operation and manoeuvrability. A rigid grille protects the propeller against obstructions. The complete unit is maintenancefree and has only to be rinsed with fresh water after use.